Room Dividers - Define, Shape and Transform your World! Internal spaces have many demands placed upon them and these demands are always changing. An attractive and efficient way to combat the issue is with the installation of room dividers in the form of internal French doors, allowing you to infinitely define and redefine any area with ease. When embarking upon the process of selecting your provider of such doors, it is essential to be sure of their dedication to quality. Installing room dividers is an investment that, if properly planned-for and implemented, will improve both the aesthetic and financial value of your home, as well as making it a cosier, more comfortable and agreeable space to be in. JAS Timber, with our many years’ of practical experience and careful selection of quality timber providers, guarantee to deliver the most professional service and product range. This premium range of timber room dividers is manufactured from expertly-engineered components and is a supremely-attractive example of how room dividers can transform any environment. Heads, jambs, mullions, door stops, beads and rails are all supplied with the comprehensive kit. Before installing, all edges and faces of the doors and frames must be coated with professional-quality sealer to protect against any possible ingress of moisture. At least three topcoats are then required to ensure the wood is fully protected from any shrinkage, warping, splitting or twisting. Be sure not to use water-based paint, varnish or stains and instead let the natural quality of the oak shine through. With clear bevelled glass allowing natural light to floor the room, these room dividers deliver a crisp, clean aesthetic line that is at once classic and contemporary. 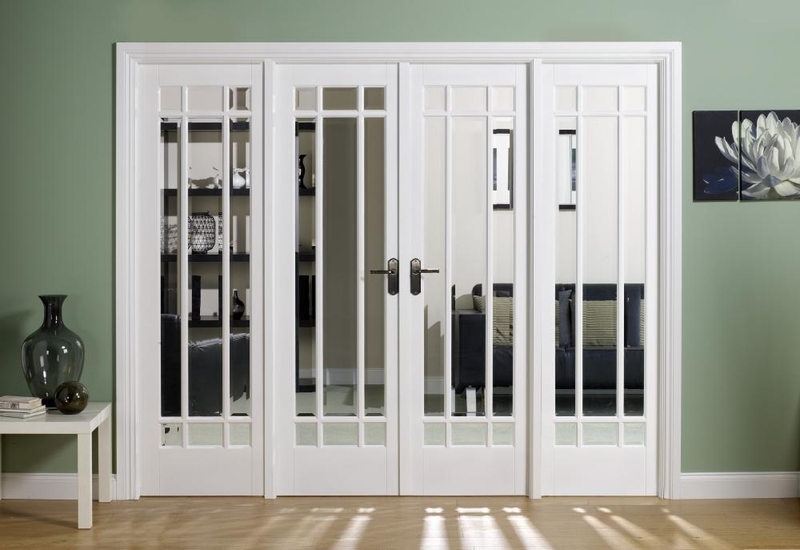 Fabricated from white primed components of superior quality and strength, the doors will completely change the way you look at and enjoy the internal environment in which they are installed. The room dividers can be installed into either brick or stud wall as long as the appropriate method is applied and precautions observed. 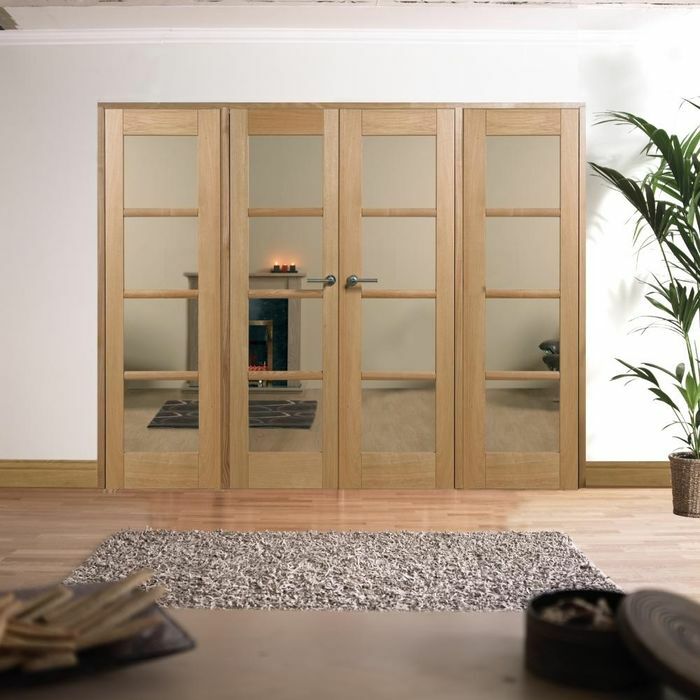 Also check out the XL Joinery FreeFold Oak Folding Door System & XL Joinery FreeFold White Folding Door System. Shape, define and refine your space with room dividers from JAS Timber. Call our team to hear more options.